Frank Darabont has often compared The Shawshank Redemption to a Rorschach test. Written and executed with exceptional skill, it possesses a power that allows viewers to effortlessly empathize with its characters. It is, perhaps, the metaphor of imprisonment that resonates within us the hardest. We all have things that hold us captive, whether physical, psychological, social, or economical. Shawshank is about hope. If Andy can escape and come out the other side free, so can we. Get busy living or get busy dying. That’s goddamn right. 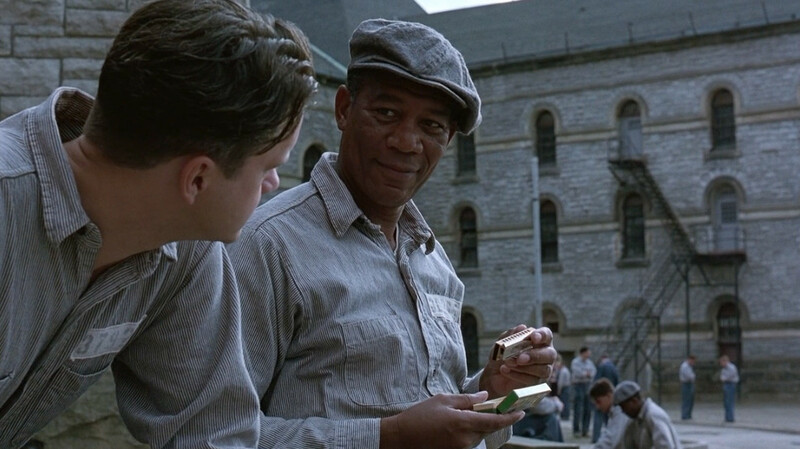 Click here if you’re looking for The Shawshank Redemption screenplay. It would take him three years, but Darabont managed to acquire enough money to finish the short. King was a fan, calling it, “clearly the best of the short films made from my stuff.” The young writer/director earned King’s confidence. 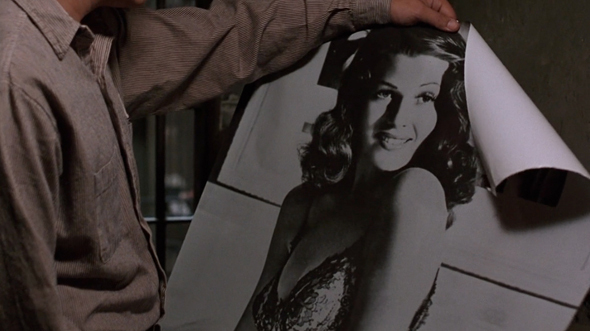 So, when Darabont asked for the film rights to Rita Hayworth and Shawshank Redemption back in 1986, King said yes. Shawshank‘s screenplay found a home with Castle Rock Entertainment, where Darabont was approached to hand over the director’s reigns to one of Castle Rock’s founders, Rob Reiner, for $2.5 million. As King had initially written Red as an Irishman, Reiner envisioned Harrison Ford in the role, with Tom Cruise as Andy. In the end, Darabont decided the money wasn’t worth giving up the opportunity to do something great, and much to both Reiner and Castle Rock’s credit, they gave him the chance to do so. 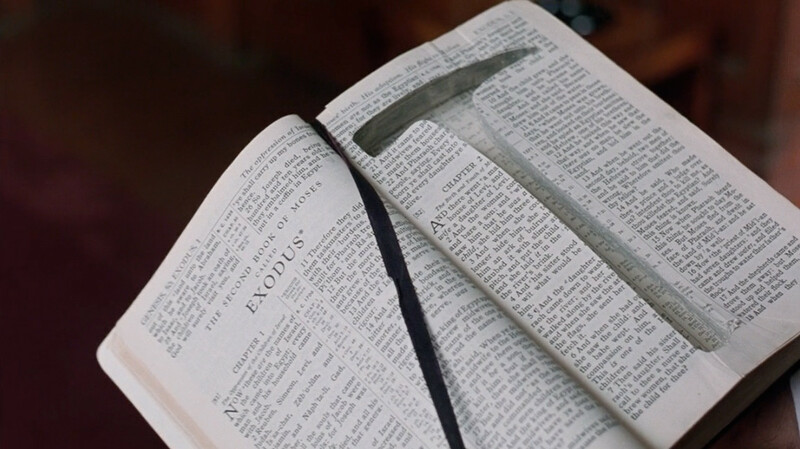 Released in 1994, The Shawshank Redemption was nominated for seven Academy Awards (Best Picture, Best Actor—Morgan Freeman, Best Adapted Screenplay, Best Cinematography, Best Editing, Best Original Score, and Best Sound Mixing) and ultimately lost in every category, thanks in large part to Forrest Gump. Audiences would have had a hard time liking a character who committed such a crime. I’m not saying it’s impossible, but more a risk they weren’t willing to take. Sometimes less is more. Red admits his guilt, he’s spent the majority of his life behind bars and there’s not a day that goes by he doesn’t feel regret. If you ask me, that’s all we need. King described Brooks Hatlen as “a tough old con” with a college education who happened to murder his wife and daughter. King’s Jake was a pigeon (not a crow) and he didn’t have a thing to do with Brooks. Jake belonged to a fella by the name of Sherwood Bolton. Upon his release, Sherwood let Jake go, and a week later, Red found the bird dead in the exercise yard. But back to Brooks…he’s mentioned in just a few paragraphs, mainly to setup Andy’s job as Shawshank’s librarian. King doesn’t follow Brooks outside. Brooks never writes to the boys. 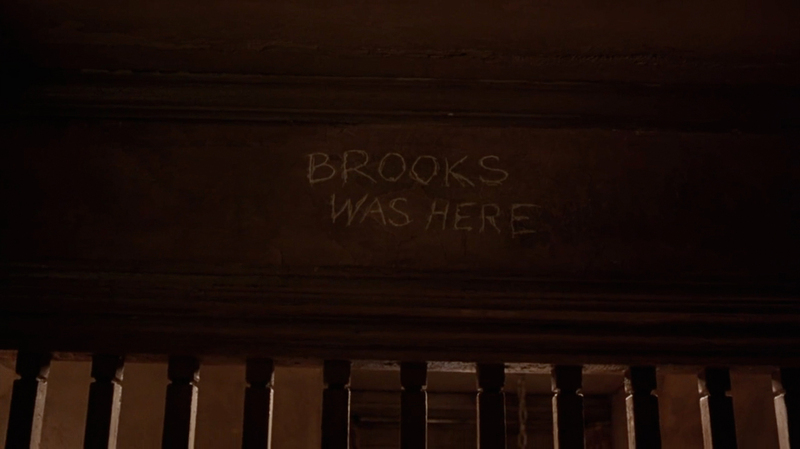 Brooks never chisels his name or commits suicide. In the novella, Red says about Brooks, “they trained him to like it inside the shithouse and then they threw him out.” The idea was there and Darabont molded it into one of the film’s most memorable characters. I have no idea to this day what those two Italian ladies were singing about. Truth is, I don’t want to know. Some things are best left unsaid. I’d like to think they were singing about something so beautiful, it can’t expressed in words, and it makes your heart ache because of it. I tell you, those voices soared higher and farther than anybody in a great place dares to dream. 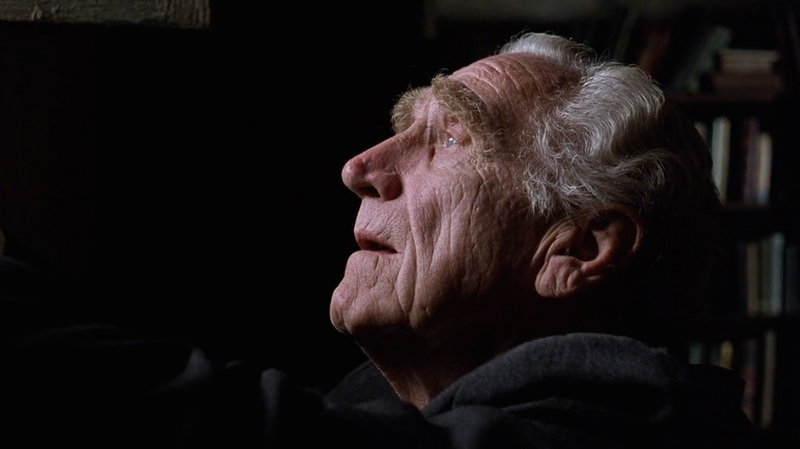 It was like some beautiful bird flapped into our drab little cage and made those walls dissolve away, and for the briefest of moments, every last man in Shawshank felt free. Andy broadcasting Mozart over the prison’s P.A. was Darabont’s creation. It’s the midpoint of the film, where Andy faces off against the Warden, not accepting the rules anymore. The transition not only represents Andy’s defiance, but also a bold step at breaking out, not physically, but in his mind. Just like Andy’s accomplishments with Shawshank’s library, the music is also a gift to his fellow inmates. He discovers something deep in his being that the Warden and Hadley can’t touch: hope. The poster covering the hole at the time of Andy’s escape was of Linda Rondstadt, not Raquel Welch. 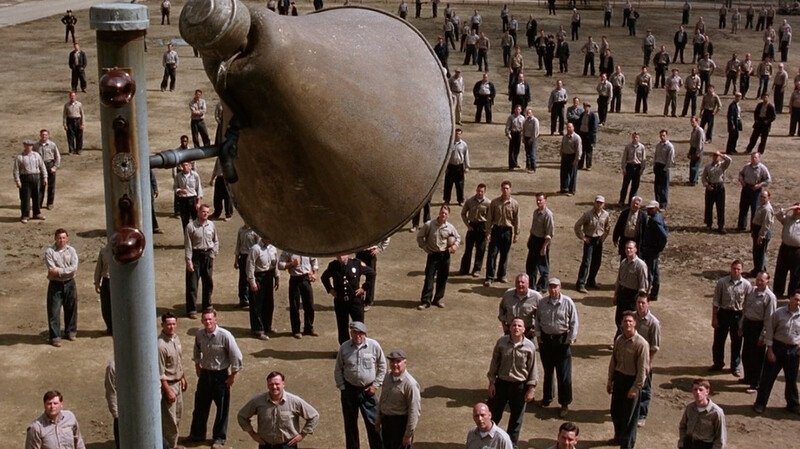 There were three wardens during Andy’s time at Shawshank. Warden Norton has Tommy transferred to a minimum security prison, not killed. Warden Norton does not kill himself. He quietly resigns after Andy’s escape. Andy escapes to Mexico with his money, not the Warden’s (after his appeal was turned down, one of Andy’s close friends from the war created a false identity for him under the name Peter Stevens. He took over three hundred thousand dollars of Andy’s money and setup a bank account in Stevens’ name). It’s not uncommon for films to differ from their source material. I highly recommend checking out King’s novella and Shawshank‘s shooting script. They’re both worth studying. You can find self-worth in your most hopeless hours. Imagine, just for a few moments, you’re Andy Dufresne. You’ve been found guilty of murdering your wife and her lover and you are innocent. You’re stripped of your freedom and thrown into a prison for two life sentences. Your new neighbors are felons doing hard time: thieves, rapists, and murders. Violence surrounds you. You are beaten by both the guards and inmates. You are gang raped by sociopaths. You find a man who knows the identity of your wife’s true killer and a corrupt, bible-thumping hypocrite of a warden has him killed. You’re dying a little bit everyday. The situation continues to push you beyond what you could ever possibly imagined your limits to be. While adapting to prison life, Andy rediscovers his self-worth. He risks his life approaching Captain Hadley on the roof. For his service to Hadley, he manages to arrange beers for his fellow “co-workers” and they feel like free men for the afternoon. He does taxes for all the prison guards, helping them save money from Uncle Sam. He tutors a young inmate and helps the man earn his high school diploma. He grows the Shawshank prison library to one of the biggest and best in New England, so he and his fellow inmates can enjoy everything from The Count of Monte Cristo to Hank Williams. He broadcasts Mozart over the prison P.A. and all the inmates at Shawshank feel free for a brief moment. Through the good and bad, Andy discovers his life has meaning and value. When he decides to break out, he’s at the end of his rope. The infamous line, “get busy living or get busy dying” says it all. The Warden will continue to hold him there for the rest of his life. Andy’s rediscovered his self-worth and knows he has a life worth living. He’ll have to risk death for his freedom and that’s fine with him. 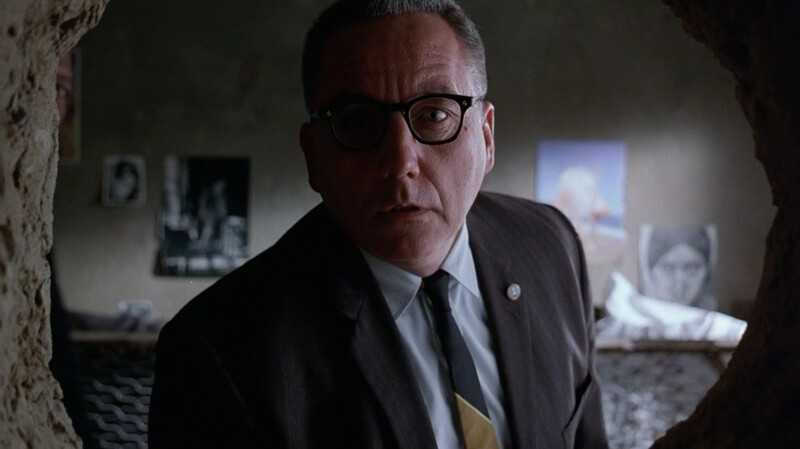 In its last ten minutes or so, Shawshank does something rather unexpected: it shifts the protagonist from Andy to Red. Not only has Red been our narrator, but he’s also been a pivotal supporting character for Andy. Red is a decent man in an unethical environment. We care about what happens to him. Halfway through the film, Darabont takes the story away from the protagonist with nearly five full minutes dedicated to a secondary character in Brooks Hatlen. Why spend that much time with Brooks? Easy. For Red. Like the internal midpoint tells us, when you’ve spent your entire adult life in prison, adapting to the outside world is terrifying. Darabont doesn’t tell the audience, he shows them what life’s like for Brooks. When it comes around to Red, we completely understand what he faces on the outside. After his release, he realizes he needs hope to live like air to breathe. That’s when he decides to break his parole and join his old friend in Zihuatanejo, Mexico. This is one of my favorite movies. Your analysis helped me so much, Thanks!!!! I was unsure about one thing however – the statement that the script changes protagonist before the end. It seems fairly clear to me that Red is the protagonist throughout the whole film and Andy is the ‘unknowable antagonist’ who we see from the outside – or rather through Red’s eyes. ‘It’s Red that changes at the end really – as Andy knows his own innocence all along – and it is Red’s story of hope that we’re essentially following – the hope that Andy brings into his life. It can be easy to confuse the ‘hero’ of the story for the protagonist but I would suggest that from a structural and functional point of view Red is the protagonist throughout the film and Andy is the ‘hero’ but functionally an antagonist. Thanks for taking the time to read the analysis and comment, Shane! From a structural point-of-view, I have to disagree: I firmly stand by Andy as the story’s protagonist. Red isn’t active enough to support the narrative. Whether it’s the roof incident, the PA and Mozart, the Sisters’ beatings, the library, Elmo Blatch, the showdowns against the Warden, or the escape, Red is simply reacting and/or supporting Andy. That’s not to say Red doesn’t have an arc. I agree he changes at the end. He finds hope. His decision and journey to Zihuatanejo is a metaphor for that. But hope is very much part of Andy’s arc, too. He finds it in the most ironic of places — the place where he has no freedom. The story is not about Andy proving his innocence, it’s about him finding hope in his most desperate hour. It’s hope that gives him courage to escape. This adds more support to Red not being the protagonist, as the stakes are not that high for his climatic action. He would only go back to prison if he’s caught on his way to Mexico. Let’s face it, after spending the majority of his life institutionalized, he would probably be more comfortable there. However, if Andy was caught making his escape, he would have probably been shot. Red: freedom/imprisonment; Andy: life/death. Andy is the main protagonist, but Red almost makes this a dual protagonist story. Andy has always wanted to escape, whereas Red was content with prison, or at least, too afraid of the outside world to ever want to escape. In that regard, Andy acts as a catalyst protagonist, changing those around him, where he doesn’t change that much. Andy is trying to survive, he knows he deserves freedom, where Red is trying to find a reason to be free, that maybe he doesn’t. He finds hope, and freedom, yes, but Red finds Redemption.